Holm, on the corner south of the creamery. 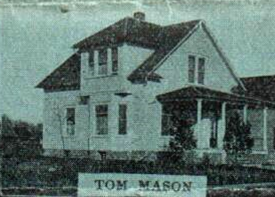 July 31st, 1913— Tom Mason moved into new residence south of the creamery last week. November 21st, 1912— J.H. 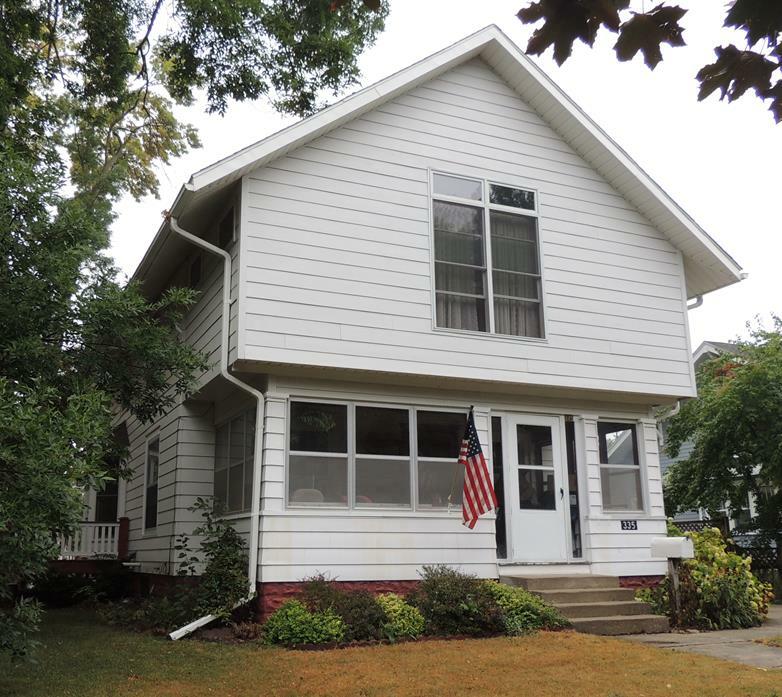 Jacobson has sold his residence property to Herman Jorgenson. The deal was made last week, and we understand Mr. Jacobson bought the vacant lot next to his house from Mr. Jorgenson and will build on the same next spring. Possession will not be given until next summer. April 10th, 1913— J.H. Jacobson has let contract to Andrew Langland for his residence which he will build on the corner south of his present place. The latter he has sold to Herman Jorgenson. 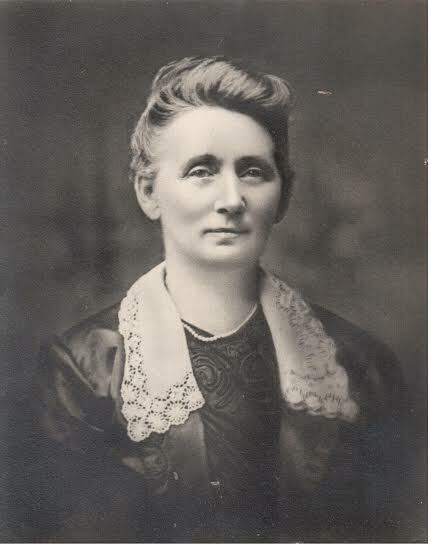 Nov. 20th, 1913— Minnie Jacobson, young daughter of J.H. Jacobson, underwent operation for appendicitis at their home Tuesday. The operation was entirely successful and at the present writing she is getting along quite satisfactorily. J.H. 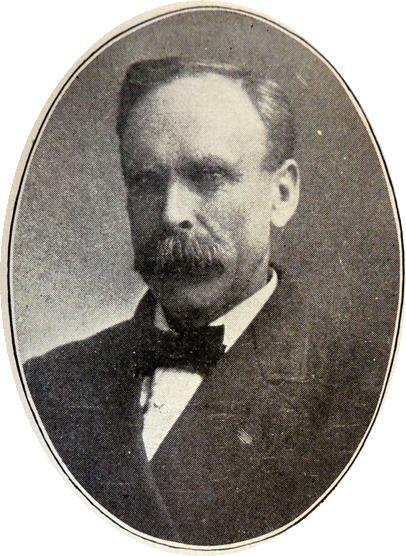 Jacobson was a member of the County Board of Supervisors and a mayor of Story City. Sept. 4th, 1913— A.O. Valen has home almost finished in sanitarium addition. Contractor Grotness has been getting 3 homes in great shape the last couple of weeks (both Dales and Valen). 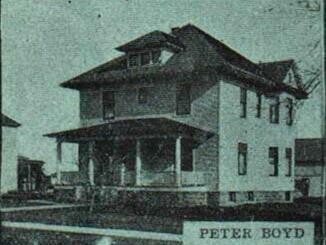 Dec 18th, 1913— Two more homes have been occupied in the sanitarium addition. L.L. Dale and A.O. Valen took possession of their homes last week. 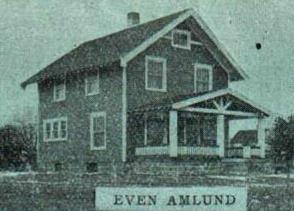 April 10th, 1913— Even Amlund has let the contract for new residence, to be built in sanitarium addition. Mr. Hays has the contract, we understand. 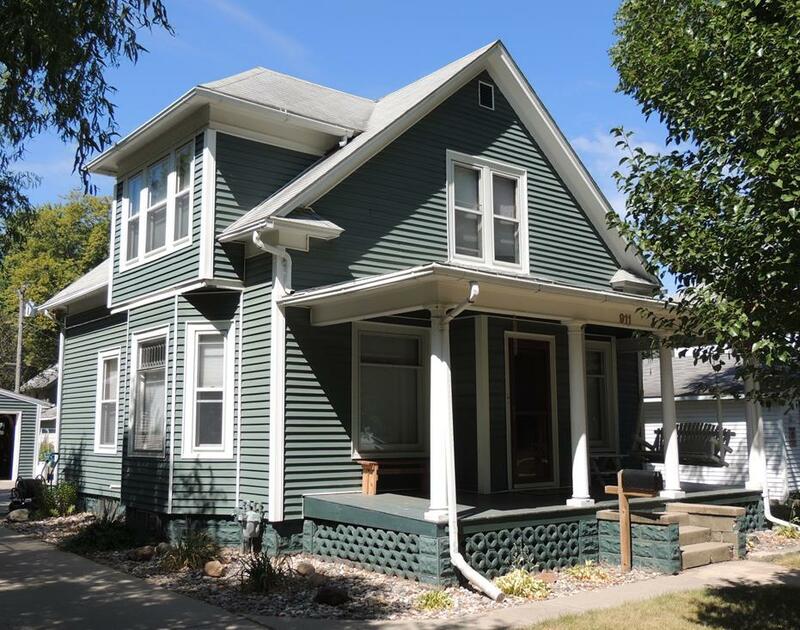 Sept. 4th, 1913— Even Amlund moved into his new house last week, being the first one to get his dwelling ready in the new sanitarium addition. Even Amlund was the foreman of the Visergutten Norwegian newspaper in Story City. 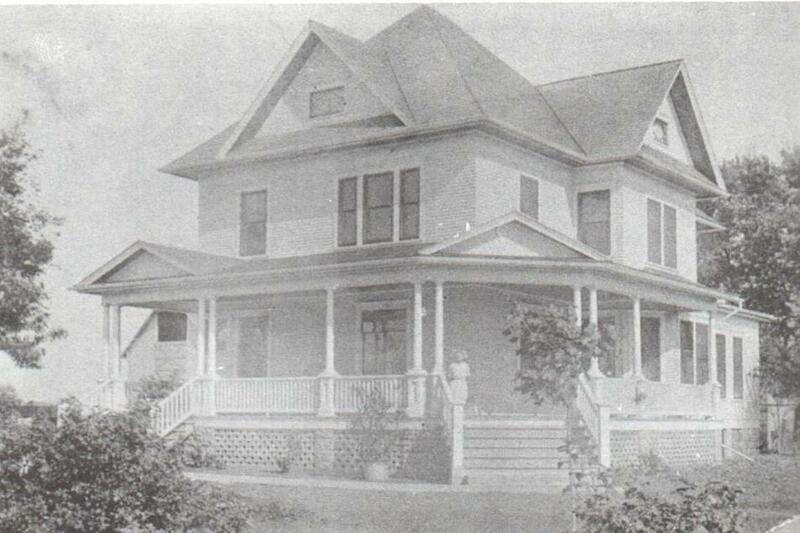 Sept. 4th, 1913— Mrs. Ersland has home almost finished in sanitarium addition. 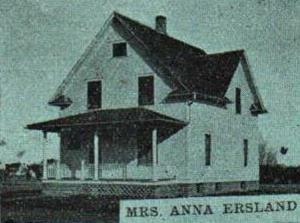 Sept. 25th, 1913— Mrs. Ersland moved into new home. 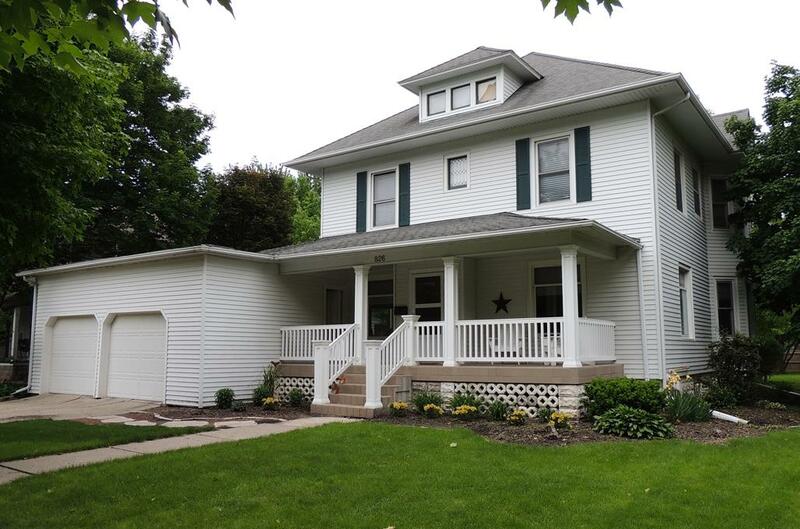 This is the second dwelling to be completed in sanitarium addition. 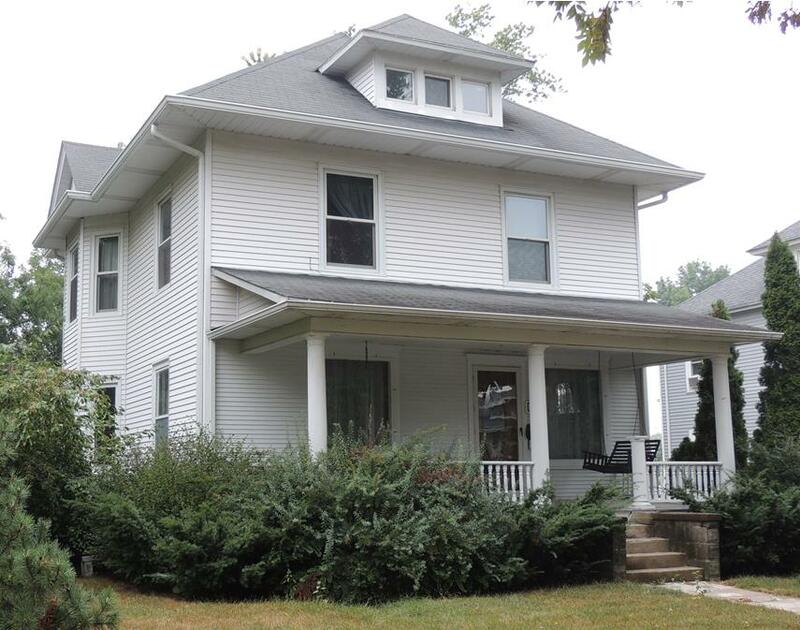 July 17th, 1913— The basements for two new houses have been dug in sanitarium addition. They are for L.L. Dale of Ihlen, Minn. and Chris Dale of Gilbert, both of whom will move back to their old hometown the coming fall. 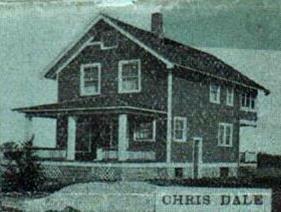 Sept. 4th, 1913— Chris Dale home is well under way. Contractor Grotness has been getting 3 homes in great shape the last couple of weeks (both Dales and Valen). 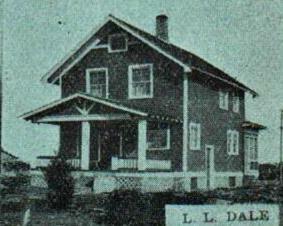 Nov 27th, 1913— Dale and family moved into new home in sanitarium addition last week moving here from near Gilbert. This family represents the “back to Story City” movement, having lived here for a number of years before going on the farm, and they have a host of friends who bid them welcome to our midst. 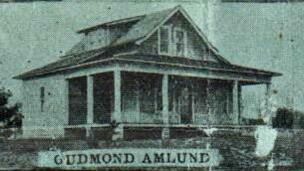 Sept. 18th, 1913— Gudmond Amlund has the excavation done for his new residence in sanitarium addition. This will be the 6th house in the addition. Dec 4th, 1913— born to Mr. & Mrs. Gudmond Amlund, Monday, a boy. Gudmond Amlund was a wagon maker. 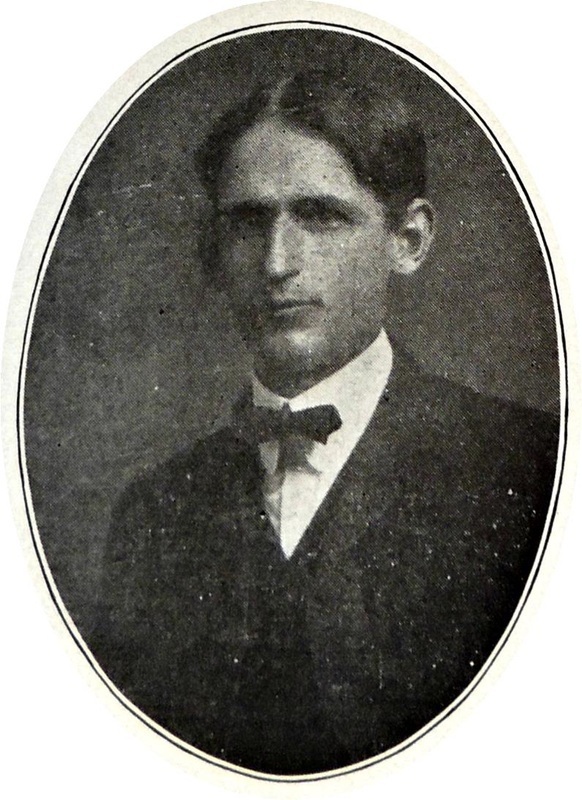 Sept. 4th, 1913— L.L. Dale home is well under way. Contractor Grotness has been getting 3 homes in great shape the last couple of weeks (both Dales and Valen). 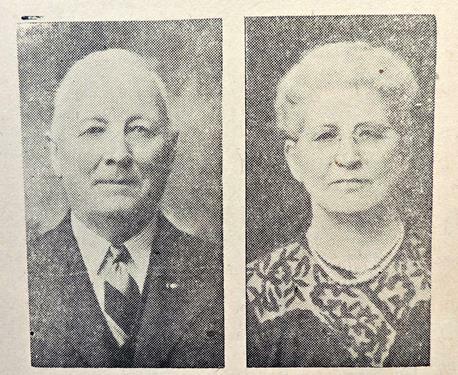 Sept. 25th, 1913— Mr. & Mrs. Dale have moved here from Ihlen, MN. They are making their home with Mrs. H.L. Dale while new house is being completed. The Dales are old time Story Citians and need no introduction to our people. They are extended a cordial welcome back to our midst. 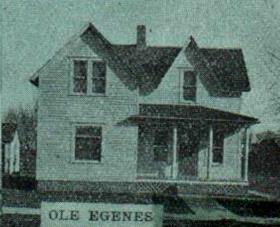 April 10th, 1913— The residence building which Ole Egenes is erecting on his lot on south Penn- sylvania avenue is all enclosed and will soon receive the finishing touches. July 24th, 1913— Born to Mr. & Mrs. Ole Egenes, July 17, a boy. Ole Egenes was a mason. 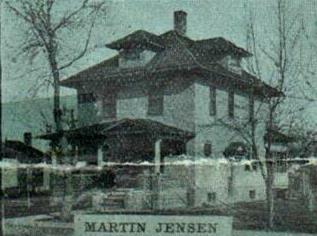 December 12th, 1912— Martin Jensen has started to build a new residence on his lot near the M. & St. L. track. 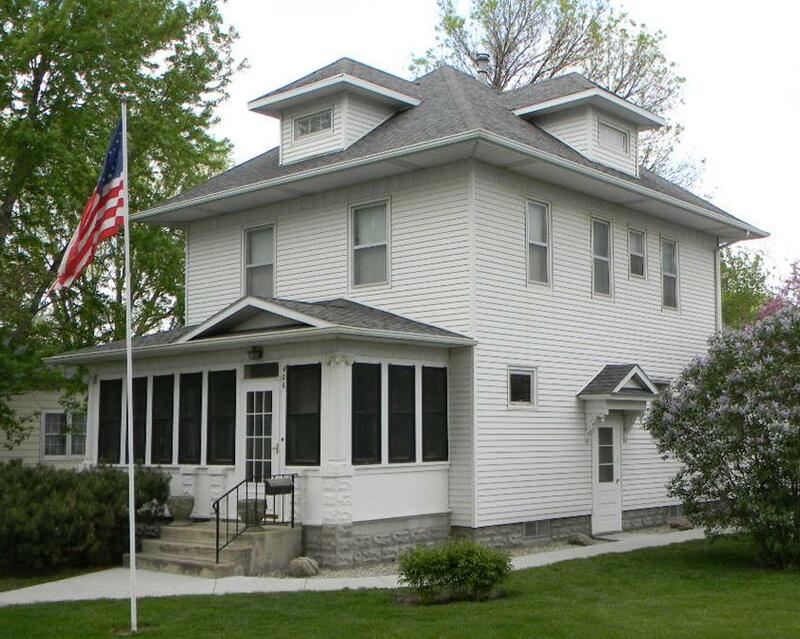 April 17th, 1913— Martin Jensen has new house finished and moved his family in this week. 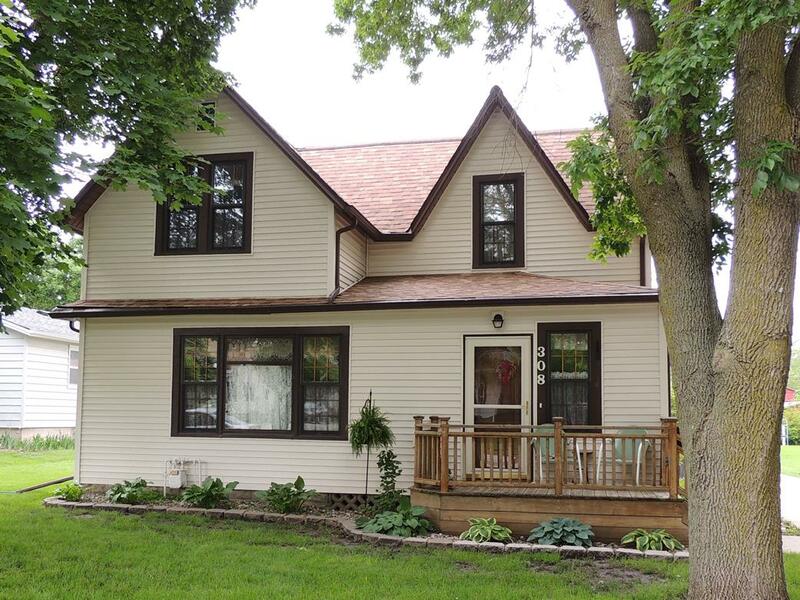 This residence was built during the winter just past and is one of the most finely finished in town. 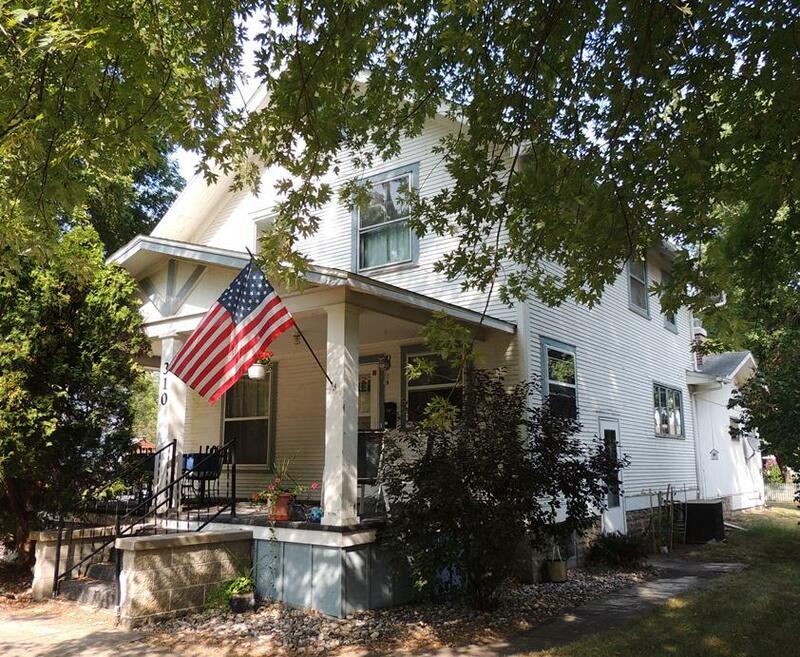 July 24th, 1913— Martin Jensen has sold his old house to his brother-in-law, Fred Williams, and it has been moved to the south end of Pennsylvania Ave.
July 31st, 1913— Martin Jensen has had his house painted. Martin Jensen was a mason contractor. He owned Jensen’s Cement Block Factory. Martin and his men made cement blocks and a variety of cement products for buildings, garden and lawn. 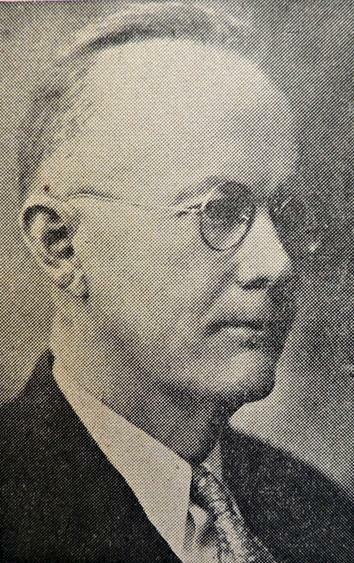 September 26, 1912— Sampson Grotness is starting to build a new residence for O.A. Olson on the lot which he recently purchased on Broad street, west of Ben Stevens' place. October 17th, 1912 - O.A. Olson expects to move into his new house, now building, sometime in November. O.A. 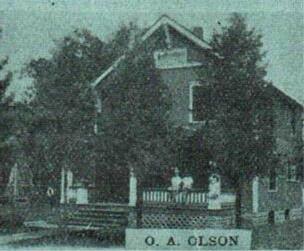 Olson was a station agent. April 20th, 1950— The O.A. 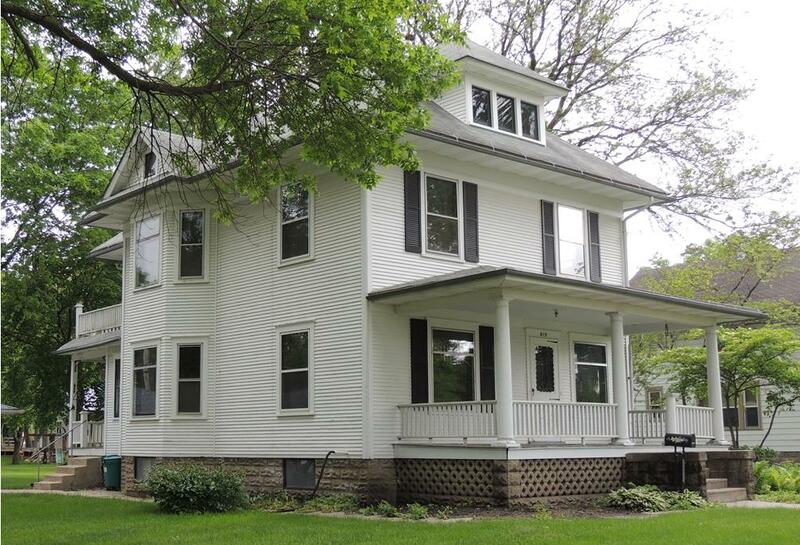 Olson house was sold to Lars Kalvik of Jewell Monday for $8,200. 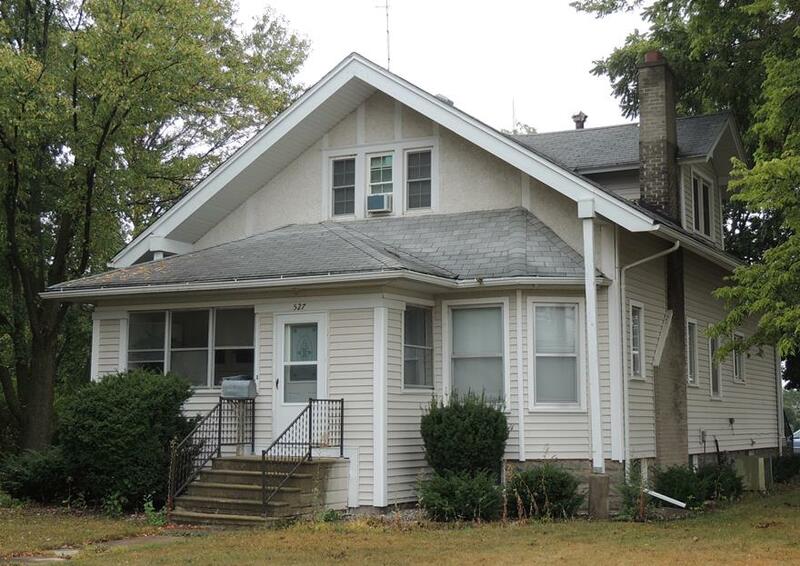 While researching in the 1913 Heralds, we did not find any information about the Wierson home being built. 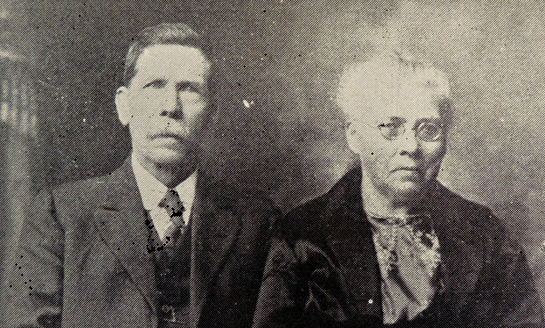 Fortunately, descendants of Ole and Carrie Wierson have published several family cookbooks which also included history on the Wierson family and an extensive family tree. The following is information taken from those cookbooks. 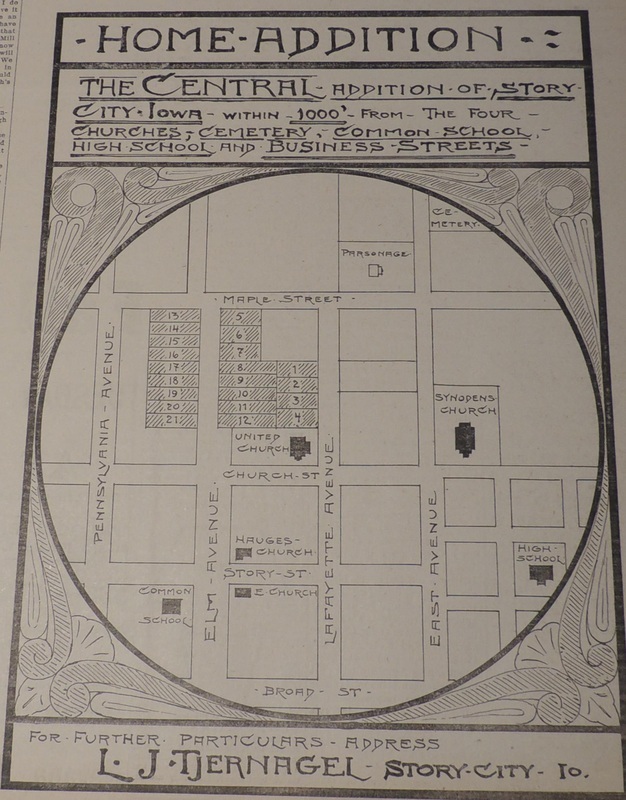 In 1905 they purchased a farm on the west side of Story City. During this time, Carrie was a seamstress and she taught dress making in their home. 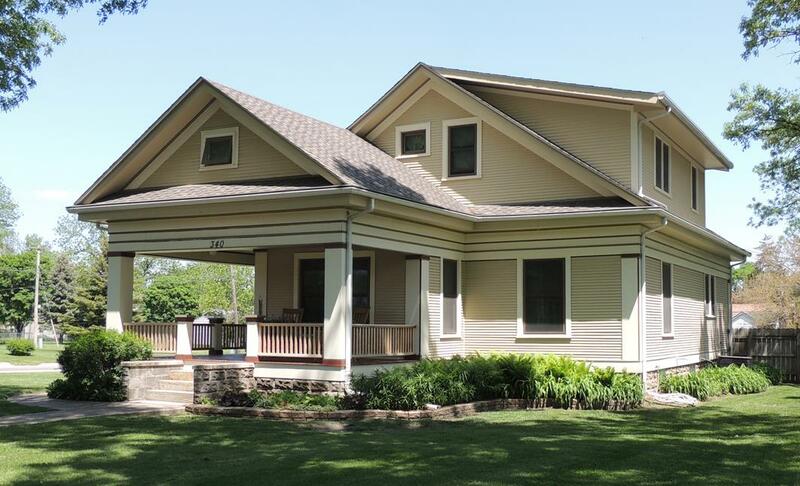 A new home was built in 1912. 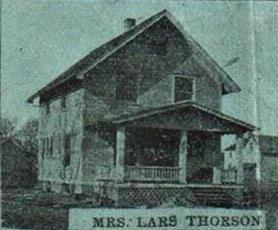 Their daughter Jeanette married Miles Thorson at Ole and Carrie’s new home on December 31, 1912. 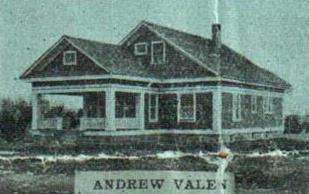 The farm was sold in 1919. Ole and Carrie moved to Kenyon, MN for a few years. After which they returned to Iowa and lived in or near Roland. September 26, 1912— T.L. Olson of Gilbert has bought two lots of M.O. Marvick; price $800. November 14th, 1912—T.L. 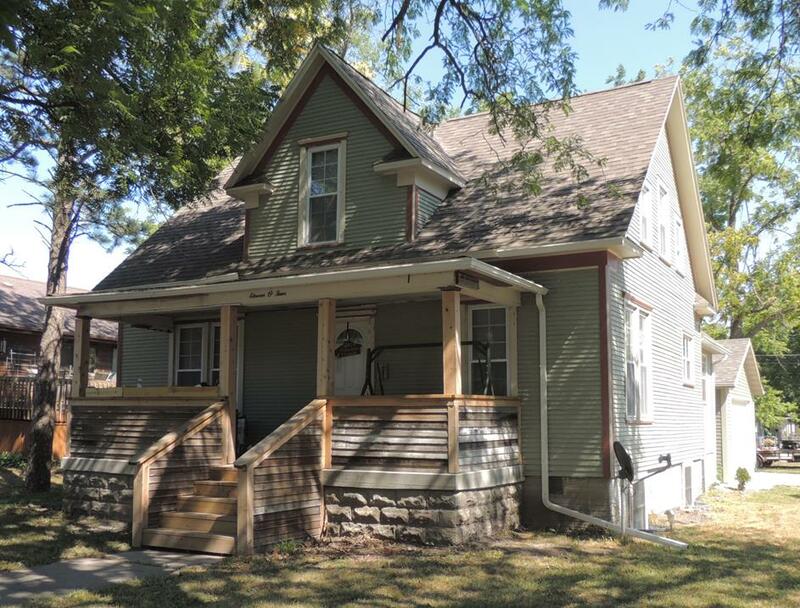 Olson has started his new house in the Marvick addition, west of the Northwestern track. 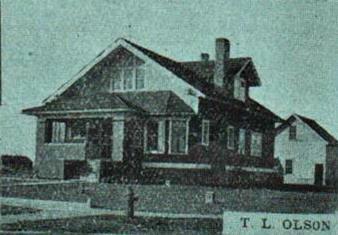 November 27th, 1913— Mrs. W.C. Krum and Mrs. W.R. Hamman of Eagle Grove came here last Friday for the purpose of inspecting TL Olson’s new home. Mr. Hamman expects to erect a house on the bungalow order next year and will probably make it like Olson’s, the ladies having been very much pleased with the design and finish. 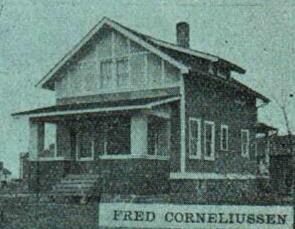 April 10th, 1913— Fred Corneliussen has plans ready for his new residence which he will build on the lots west of the S.R. Corneliussen place, and has some of the material already in place. 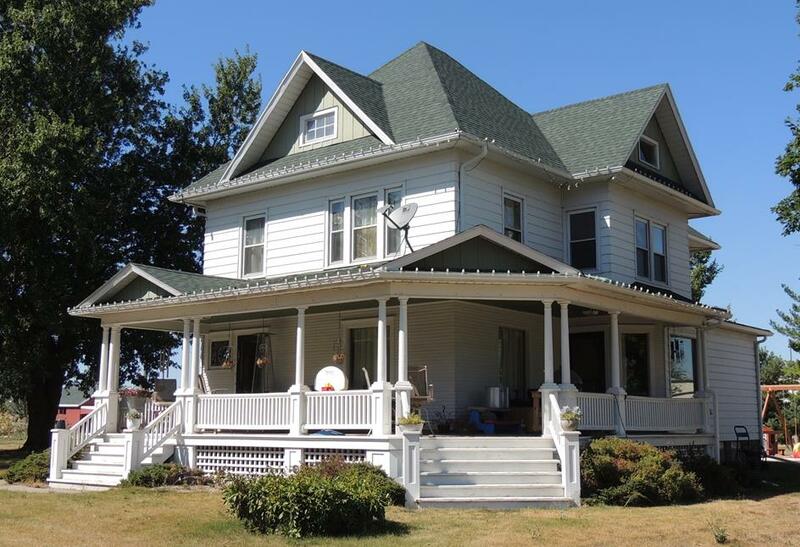 Sept. 18th, 1913— The Fred Corneliussen family has moved in to their new house. April 10th, 1913— O.G. Hendrickson will erect a fine residence building on his lot just north of Jas. Jacobsen’s place on North Pennsylvania Ave. A Roland contractor has the job, we understand. July 10th, 1913— O.G. Hendrickson and P.P. Boyd have their two residences on North Pennsylvania well underway. Oct 16th, 1913— O.G. 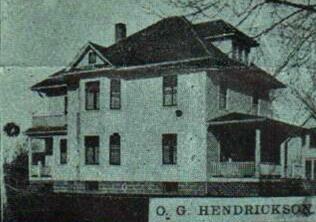 Hendrickson moved into his fine new residence, just completed on north Pennsylvania avenue. The house he vacates will be occupied by H.A. Anderson, the implement man. April 10th, 1913— Peter Boyd has some of the material on hand for the handsome new residence he will build on his lot on North Pennsylvania avenue, just north of Mrs. Dale. Location of M.G. 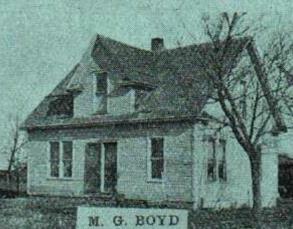 Boyd’s home discovered in the Dec. 18th, 1913 Herald under public notice from the County Auditor for assessed benefits in drainage district. 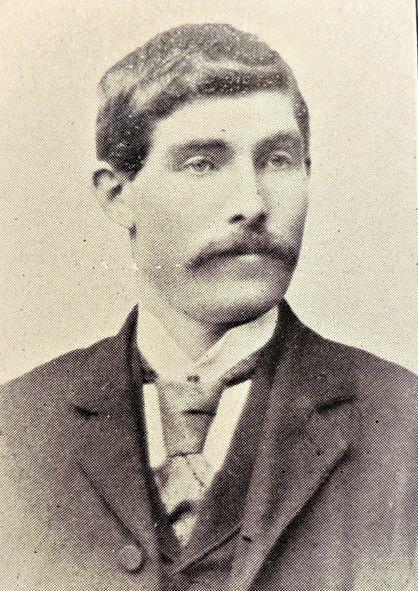 September 26, 1912— Andrew Langland has started a new residence building in the north part of town for his brother-in-law Mr. Anderson. 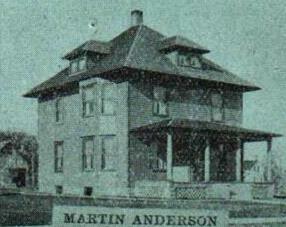 Location of Martin Anderson’s home was originally discovered in the Dec. 18th, 1913 Herald under public notice from the County Auditor for assessed benefits in drainage district. 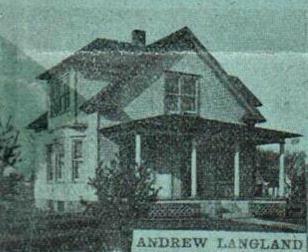 December 5th, 1912— Andrew Langland has laid the foundation for his new residence in the north part of town. 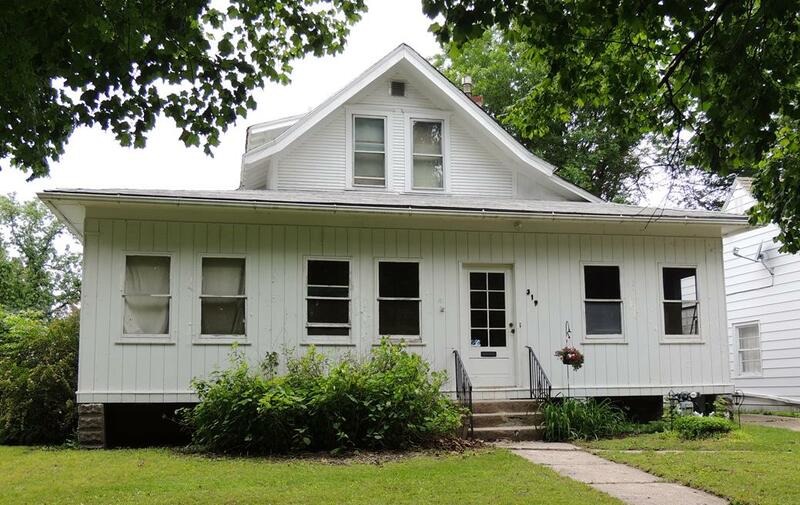 Location of Andrew Langland’s home was originally discovered in the Dec. 18th, 1913 Herald under public notice from the County Auditor for assessed benefits in drainage district. Andrew Langland was a contracting carpenter. 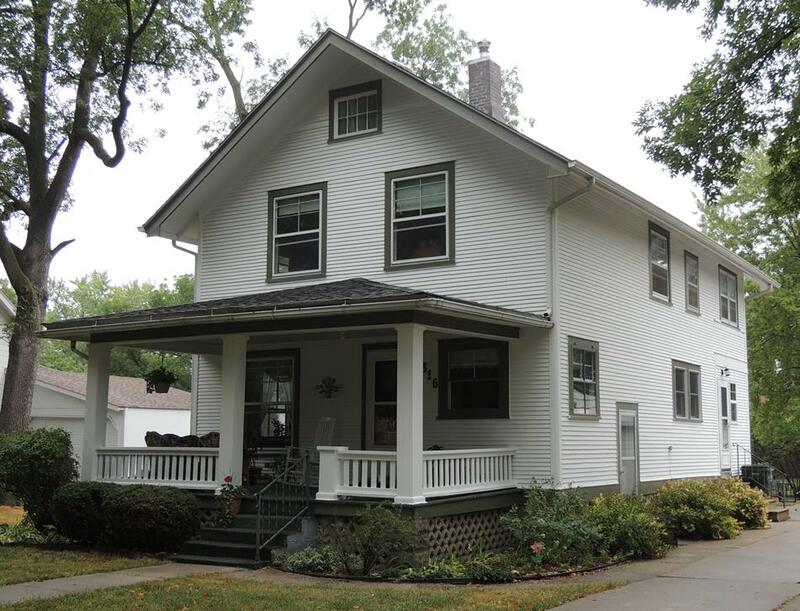 He was the carpenter on at least three of the homes built in 1913 including the J.H. 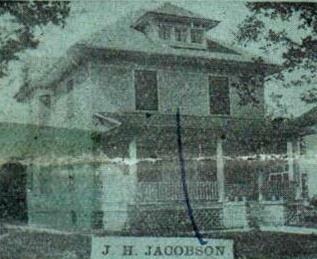 Jacobson home, the Martin Anderson home, and the Mrs. Bertha Johnson home. 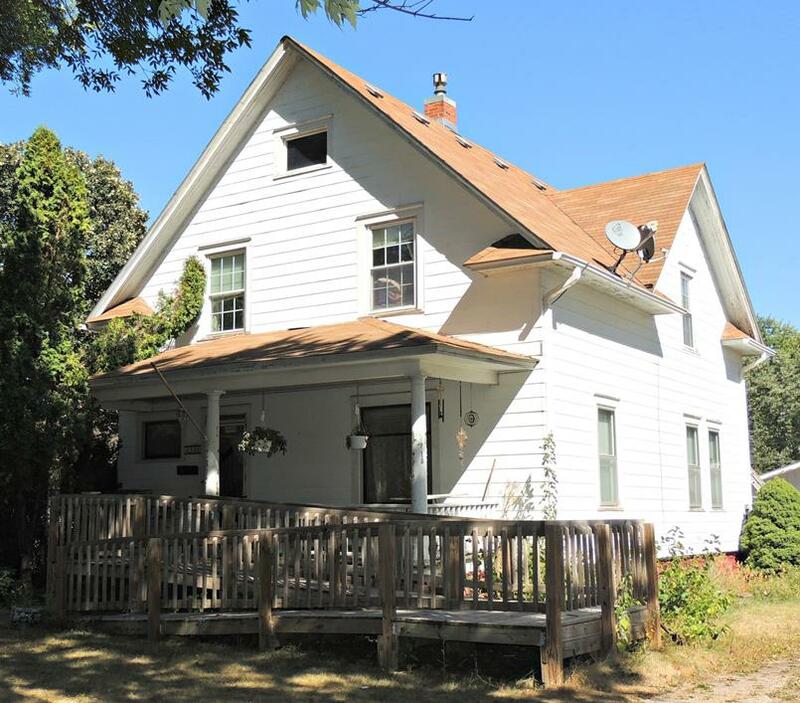 Oct 16th, 1913— Mrs. Lars Thorson has sold her interested in the farm east of town to her step-children, Tom and Wier Thorson, and will move into town. 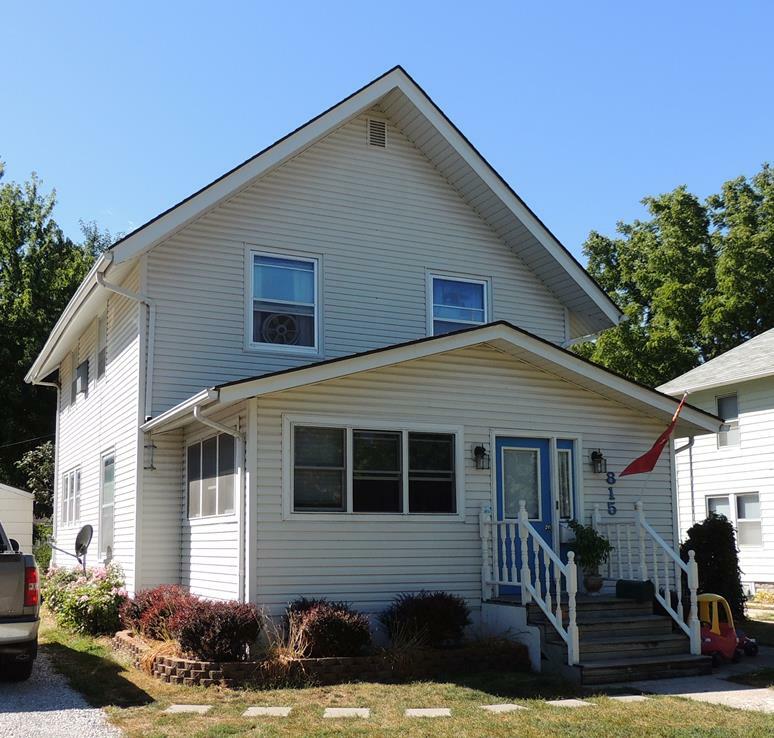 She has bought a lot in Tjernagel's Home Addition and is getting ready to builds a residence thereon. Her is the north of Anders Mathre's place. 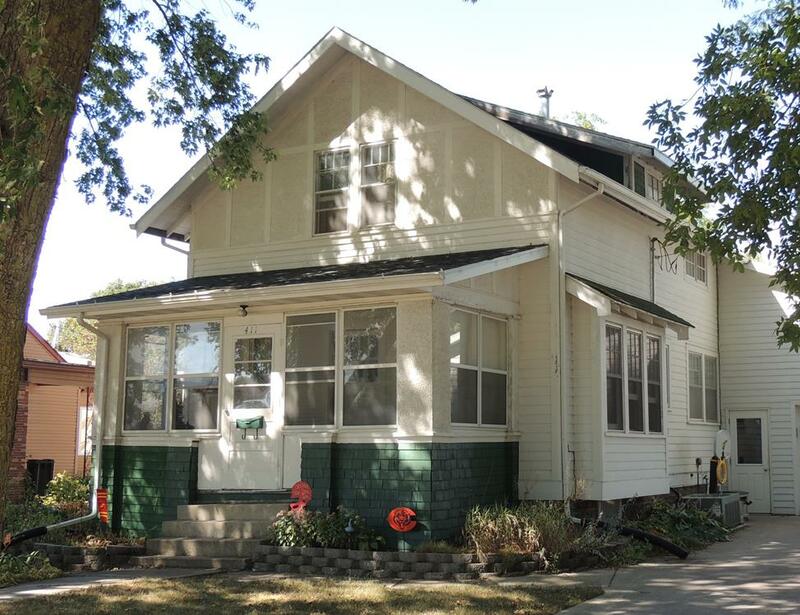 Home Addition:Oct. 9th, 1913— In this issue is a plat of L.J. Tjernagel’s newly laid out lots. He calls it the “Home Addition” and considering the location of the lots the name is well chosen. The addition is within a thousand feet of the churches and the schoolhouses. 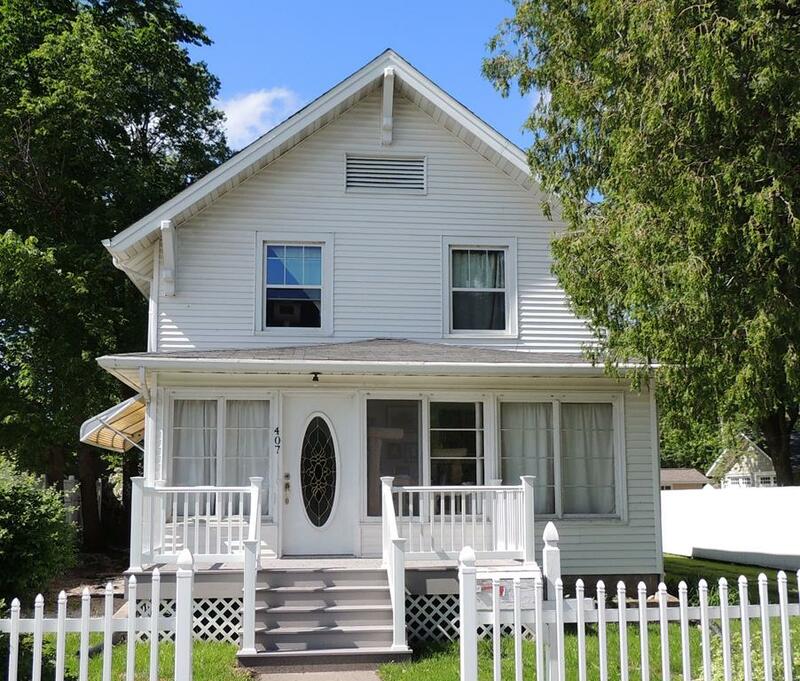 June 5th, 1913— Having decided to build a new residence I will sell my old dwelling house, located one block north of main street at public auction at 1:30 pm, Saturday June 21. Will also sell some furniture and household goods. 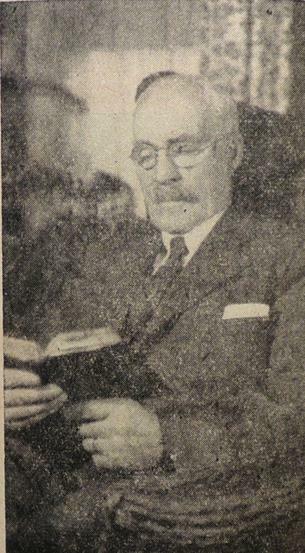 John Donhowe auctioneer. Mrs. Bertha Johnson and family moved into rooms over Heggen & Stenson’s store while the work of putting up new residence is going on. June 26th, 1913— M.O. 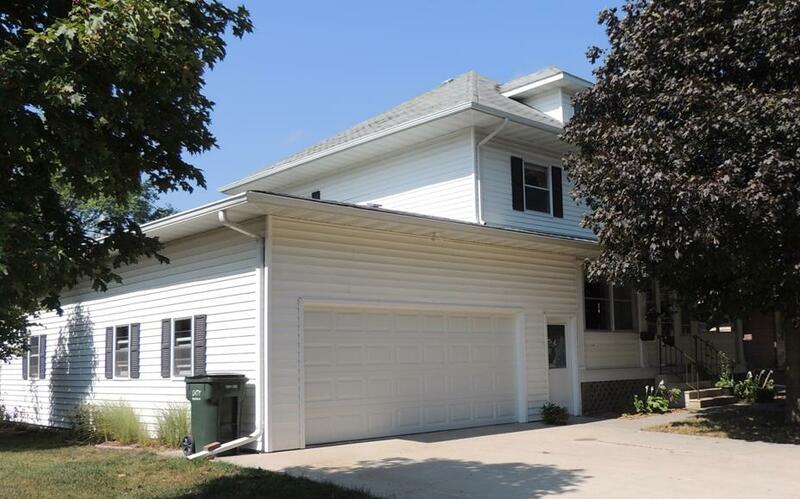 Marvick bought Johnson residence at sale last Saturday. He will move it to one of his lots and fit it up in the best way possible and either sell it or rent it. July 24th, 1913— M.O. Marvick sold house to Amond Knutsen. 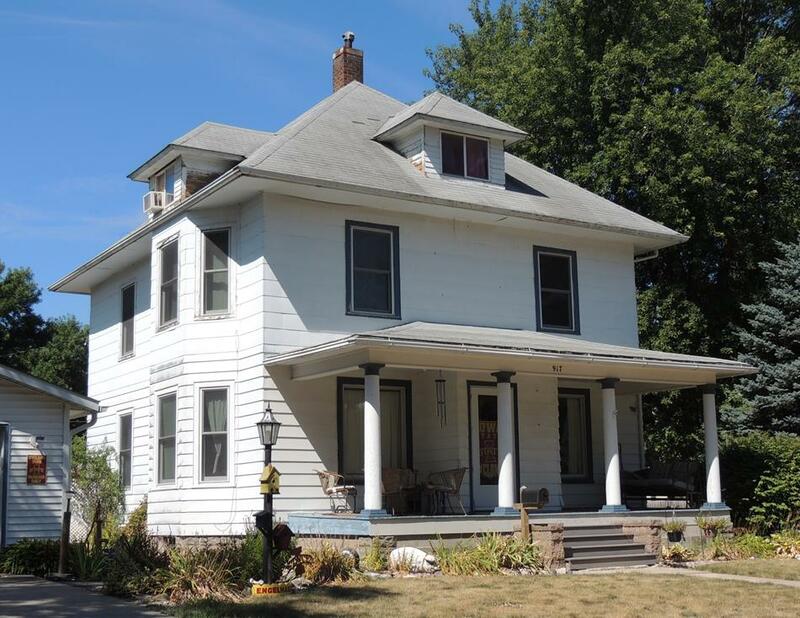 The house was moved to one of the Marvick lots west of the M. & St. L turntable and will be fitted up for residence purposes. 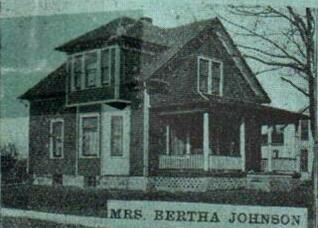 Sept. 4th, 1913— Mrs. Bertha Johnson’s new house is begining to show. Contractor Langland having got the frame work all up this week. 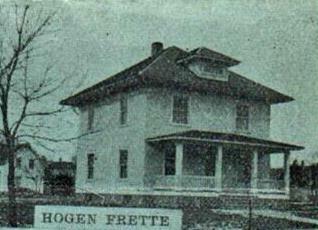 April 10th, 1913— Hogen Frette is preparing to move the old house from his lot on East St (now Grand Ave) to the lot he purchased over near the Central track, southeast of the creamery. Then he will go ahead with the erection of his new home on the vacated lot. 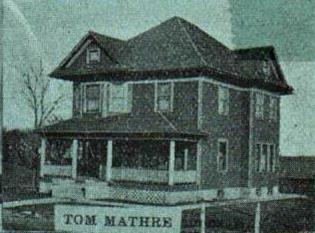 April 10th, 1913— Tom Mathre has let the contract to J.H. Johnson for the erection of his modern residence which he will build on the lot of which his present house stands. He will move the latter on the lots south of the corner. May 8th, 1913— T.L. Mathre moved his house the latter part of last week, placing it on the lot south of old location, and is getting ready to put up his new building on corner. Nov 27th, 1913— T.L. Mathre moved into new residence last week.